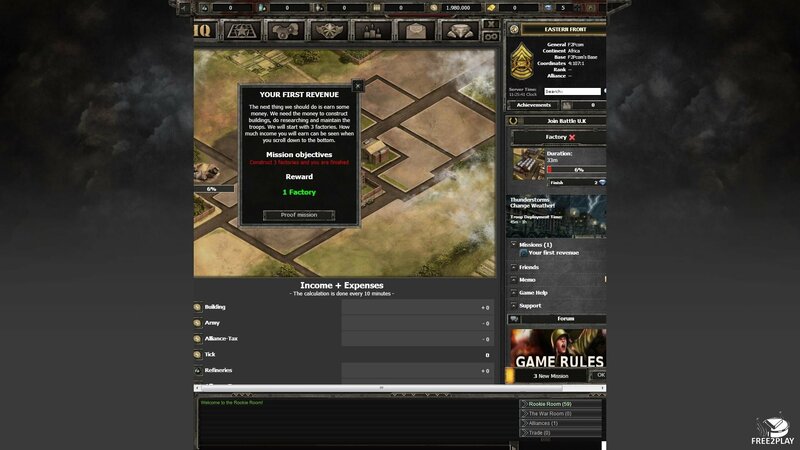 Wargame 1942 is a free browser game about managing war assets during World War II. 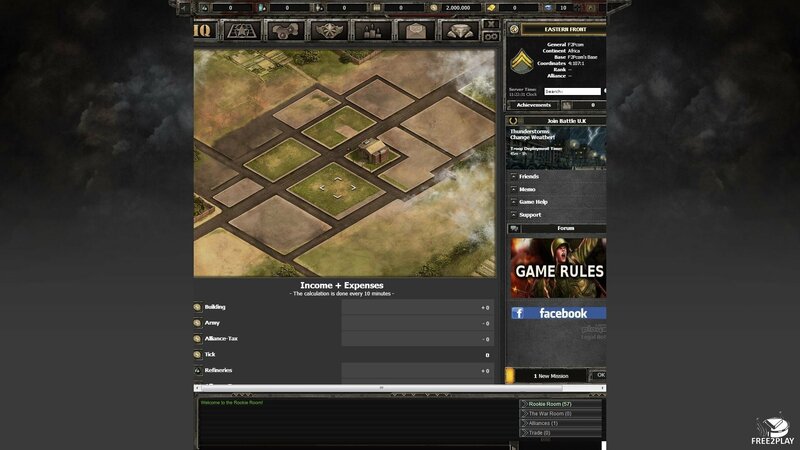 Players have to build their very own base of operations to gather forces, expand their territory, upgrade their buildings and take the enemy down, there is plenty of room for strategy and tactics as you would expect from a war game. Buildings also take time to build so plan carefully what do you want to build first while you get more resources to build the next ones. Buildings grant benefits and/or abilities to build or craft things. The basic resources are diesel, gasoline, money, oil, ammunition, Diamonds and gold. All of them are obtainable by building the proper constructions but Diamonds, which are the premium currency which allows players to speed up building, training and research times. It's only bought on the in-game store. 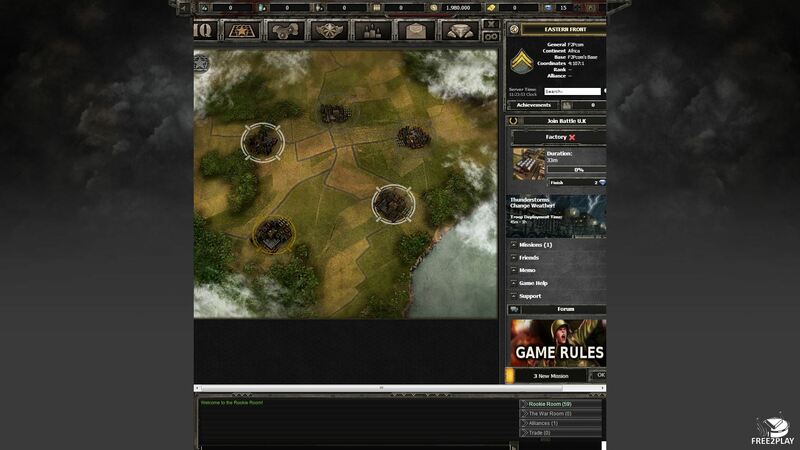 After getting a nice set of buildings with a decent income of cash and resources you can then focus on your army, once you have put one together you will be able to vanquish your neighbours by sending your troops to their bases of operations. Here comes the tricky part, you have to send units from a wide array such as tanks, aircrafts, infantry and more, without knowing what you're going to face once you get there, there is where the spies come into play. There is a safety mechanic that only allow other players to attack you once you have reached certain points or attack before them. When players gather together they can form alliances which gran benefits to all its members, starting from support from other members. 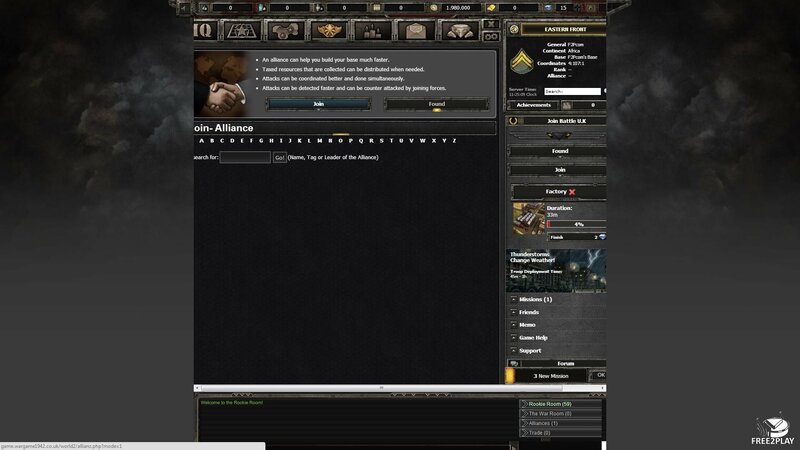 They're also able to get into the alliance conquest part of the game where they declare war to each other and try to annihilate their rivals.